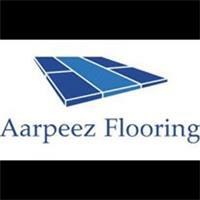 Aarpeez Flooring Ltd - Carpets/Flooring based in Chandler's Ford, Hampshire. Firstly thanks for taking the time to look at my profile. My name is Russ and I specialise in all aspects of Carpet fitting, luxury vinyl tile installation (LVT), Vinyl, Laminate flooring and sub floor preparation. I have over 16 years worth of flooring experience and have been the director/fitter of my own company for over 6 years now. I pride myself on being able to give my clients a high standard of customer service, and always provide a quality finish. With a wide range of samples to choose from, I can give you a free quotation in the comfort of your own home!